Create a Father's Day Canvas Print from York Photo For Just $10! Now that we've made it through Mother's Day, it's about time to start planning for Father's Day! Daddies need to be shown how important they are too!! Why not show your love by turning one of your favorite daddy and child photo's into a beautiful 8x10 Canvas?!?! Did I mention that you can get one of these 8x10 canvas prints for just $10! 8x10 Photo Canvas – Just $10 – Save $24.99! Disclaimer: This blog accepts compensation in the form of products and/or monetary for selected posts which will be labeled as sponsored. No matter the compensation, I only write about items and/or services that I have personal experience with and believe my readers will enjoy and/or benefit from. All opinions are my own and may differ from those of others. View Full Disclosure for further details. Every Wednesday, Cross Country Cafe, will post a rock bottom deal on a select Keurig Kcup coffee blowing away Amazon pricing! In addition we will include a discounted gourmet pod, ground and whole bean coffee! There's so much going on this week at Cross Country Cafe!! Save 15% on all Snapple Keurig K-cup teas with coupon code 15OFFSNAPPLE512 through May19th! Donut House Collection Keurig K-cups are on sale for $11.99 per box of 24! Donut House Coffee is a light roast Keurig Kcup from the Donut House Collection line of coffee, roasted by Green Mountain. Despite being labeled a light roast, this coffee has the consistency of a medium roast and the slightest dark roast burnt taste without any bitterness. This is such a delicious blend of coffee that it'll please just about every coffee lover out there! 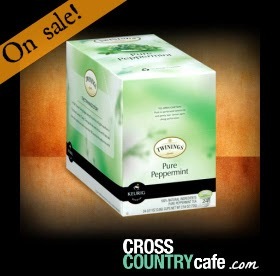 Twinings Peppermint Keurig K-cup tea is on sale this week for $9.99 per box of 24! Sale runs Wednesday May 13th through Tuesday May 20th at midnight EDT. Purchase Your Photo Gifts at York and Save! Save on Photo Gifts with York!! Sign Up With York Photo And Get 40 Free Prints! New Customers Only. S&H not included. 50% Off Everything On Orders Of $25 Or More! Use Code: 50CART at checkout. Excludes Prints. Unlimited Order Quantities. 1 Use Of Coupon. S&H Not Included. Cannot Combine Coupon Codes. 40 Free Prints Only Available to New Customers. Code Applies To Standard Shipping. Custom Photo Playing Cards – Only $5 – Save $14.99! Order Quantity Limited To 1 Deck. Cannot Combine Coupon Codes. Exp. 05-21-2014. Free S&H On Orders Of $10 Or More! Custom Photo Mouse Pad – Only $2 – Save $7.99! Custom Photo Placemat – Only $2 – Save $6.99! If you happen to be on the hunt for a simple and more natural way to care for your skin, then take my advice and check out the beauty care line from Root Beauty. 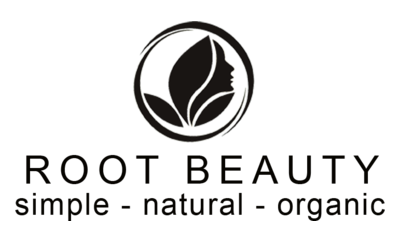 Root Beauty is a homegrown natural, organic skin care business that was created to help us live a less toxic life and was founded in urban Los Angeles. After realizing that half of the ingredients found in many of the so called "natural" skin care products were unpronounceable, Kristen, the creator of Root Beauty, started researching the healing power of essential oils and the benefits of natural oils (that women have been using around the world for centuries). She started creating her organic, toxic free skin care products for just herself, family and friends and continued this for years, and never once thought about selling them. She just simply wanted to have natural skin care products for herself that were literally free of toxic chemicals. Now that it's been many years since Kristen created her first organic skin care product, she opened up an amazing online store so that she could share her toxic free beauty products to all of us! Isn't it wonderful?! 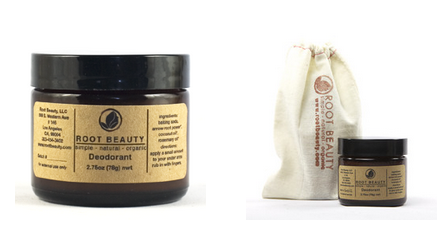 You can find her many natural creations at RootBeauty.com - Including products for face, body and even Men! I had the opportunity to try out their organic deodorant last year - Read my Root Beauty Review to find out how I liked it. Celebrate Mom with a Paper Tulip Bouquet! Celebrate mommies this Mother’s Day with a homemade Paper Tulip Bouquet! Little Passports is introducing a fun and educational craft project that kids and their mothers will both love. Not only will they be given the opportunity to tap into their creativity, but they'll learn about origami techniques and more in the process. Don't forget to get inspired with a Little Passports subscription today and you and your family will begin a journey of learning and excitement that you'll cherish for ever! 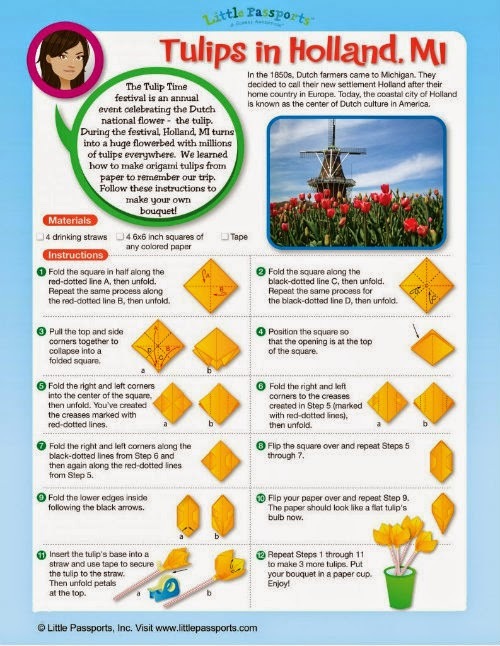 Click to view the Mother's Day Tulip Activity Instructions and start having you some bouquet fun!